Johnson, Thomas G., Daniel Otto, and Steven C. Deller (eds.) 2006. Community Policy Analysis Modeling. Oxford: Blackwell Professional Publishing. Phillips, Fred. 2006. Social Culture and High-Tech Economic Development: The Technopolis Columns. Palgrave. ISBN 1403999511. Fischer, M.M. 2006. 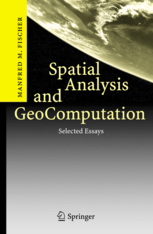 Spatial Analysis and GeoComputation:Selected Essays (ISBN 3-540-35729-7). Fischer, M.M. 2006. 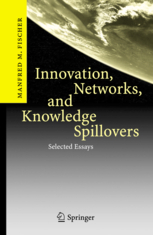 Innovation, Networks, and Knowledge Spillovers, Springer 2006. Stimson, R.J., Roger R. Stough, and Brian H. Roberts. 2006. Regional Economic Development: Analysis and Planning Strategy, Springer, ISBN 3-540-34826-3. Carruthers, John I. and Bill Mundy (eds.) 2006. Environmental Valuation. Series: Urban Planning and Environment. Ashgate. (ISBN 0754644715). Button, Kenneth, and , Roger R. Stough with Michelle Bragg and Samantha Taylor. 2006. Telecommunications, Transporation, and Location. Edgar Elgar Publishing, MA, USA, pp. 200. Part of the Transport Economics, Management and Policy series. Westlund, Hans. 2006. 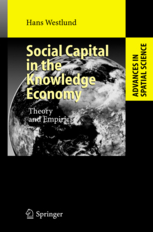 Social Capital in the Knowledge Economy: Theory and Empirics, Advances in Spatial Science, Springer (ISBN 3-540-35364). Johansson, Börje; Charlie Karlsson, and Roger Stough (eds.) 2006. The Emerging Digital Economy: Entrepreneurship, Clusters, and Policy. Series: Advances in Spatial Science. (ISBN 3-540-34487-X).